I thank you for your prayers for my baby. She had a cyst in the middle of her brain causing seizures, and now she is healed and doing very well. We have farmed for 54 years and have made good crops most years. However, this year is the best ever—a whopping 270 bushels per acre! We are living in THE BLESSING. 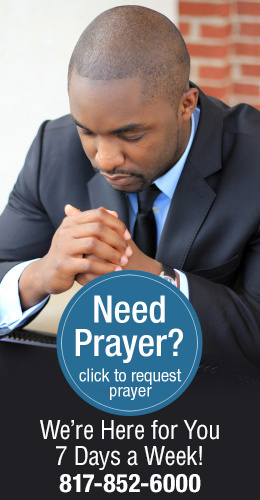 Recently, I called and one of your prayer ministers agreed with me for healing. I had a serious abdominal problem, but wasn’t a candidate for surgery. The Lord has completely healed me. Last month I had only $2 to sow. At first, I was too embarrassed to send it and then I remembered the “loaves and fishes,” so I prayed that God would multiply it and I sent it off. I have been using From Faith to Faith as one of my daily devotionals for two years now. I am a commercial lobster fisherman and I tithe faithfully. Thank you for all your prayers for my husband the past six years. He finally came to the Lord several months ago. He is watching the broadcasts with me, praying and reading his Bible every day. In January, my husband was told his company was freezing wages across the board plus extracting $1500 from his paycheck for medical expenses. One morning I found myself in deep confusion. At that moment I asked God to show me and guide me in the right direction. I received Gloria Copeland’s book God’s Prescription for Divine Health. The doctors said I had fourth stage cancer and did not give me much hope, but I rebuked that. The week before Thanksgiving my family drove to Iowa from Fort Worth to celebrate an early Thanksgiving with my husband’s family.